Syfy today announced it has greenlit to pilot KRYPTON, the much-anticipated Superman prequel set two generations before the destruction of the legendary Man of Steel’s home planet. KRYPTON will follow Superman’s grandfather — whose House of El was ostracized and shamed — as he fights to redeem his family’s honor and save his beloved world from chaos. 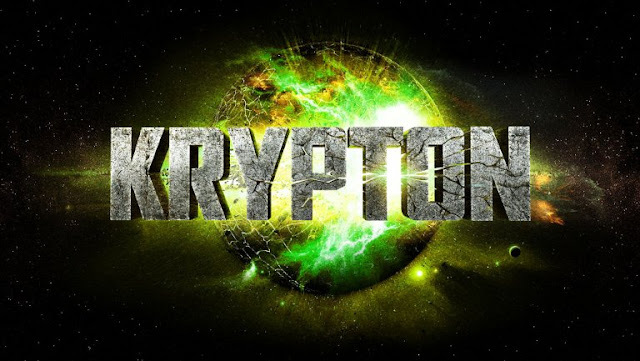 KRYPTON will be executive produced by David S. Goyer (“Man of Steel,” “Batman v Superman: Dawn of Justice,” “The Dark Knight” trilogy) through his Phantom Four banner. Damian Kindler (“Sleepy Hollow”) will serve as executive producer/showrunner; Colm McCarthy (“She Who Brings Gifts,” “Peaky Blinders”) is set to direct and co-executive produce the pilot. The pilot teleplay and story is written by David S. Goyer & Ian Goldberg (“Once Upon a Time,” “Terminator: The Sarah Connor Chronicles”). KRYPTON will be produced by Warner Horizon Television and is based on characters created by Jerry Siegel and Joe Shuster, published by DC Comics. KRYPTON comes on the heels of the pilot greenlight for PROTOTYPE, written by Tony Basgallop (“24: Live Another Day”) and currently in production. Additional high-profile scripted projects in development at Syfy include an adaptation of Aldous Huxley’s classic novel BRAVE NEW WORLD from Steven Spielberg’s Amblin Television, and HYPERION, with executive producers Bradley Cooper, Graham King and Todd Phillips. In 2016, Syfy’s powerhouse lineup includes HUNTERS, from “The Walking Dead” executive producer Gale Anne Hurd; the second season of the thriller series 12 MONKEYS; INCORPORATED, from Matt Damon, Ben Affleck & Jennifer Todd’s Pearl Street Films; the Halloween anthology series CHANNEL ZERO: CANDLE COVE; and critically-acclaimed first seasons of THE EXPANSE and THE MAGICIANS (both set for second seasons in 2017).